Whenever we get the barbecue going (we have a charcoal one) we don't want to waste a bit of heat so usually end up grilling a bunch of extra things that we'll be saving for later. Today I'm showing you something I made with some red peppers we roasted during this barbecue back in the spring. This easy recipe for a tasty dip can be whipped up in minutes and is good with bread and vegetables. Leftovers makes a nice pasta sauce, heated gently and tossed with cooked noodles. 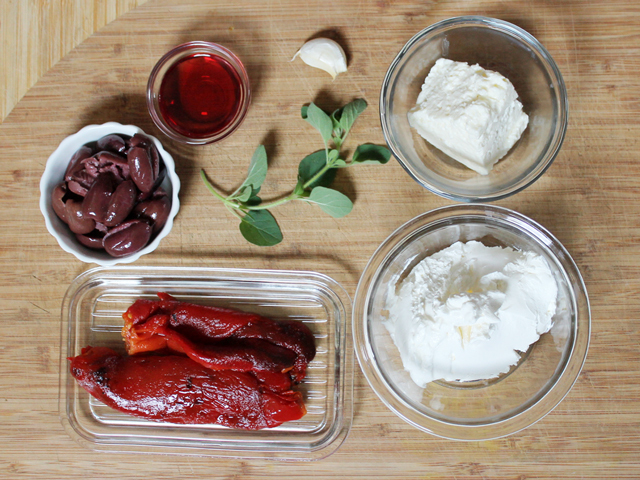 The smokiness of the peppers goes perfectly with the Greek inspired flavours of Feta cheese, Kalamata Olives and Oregano. 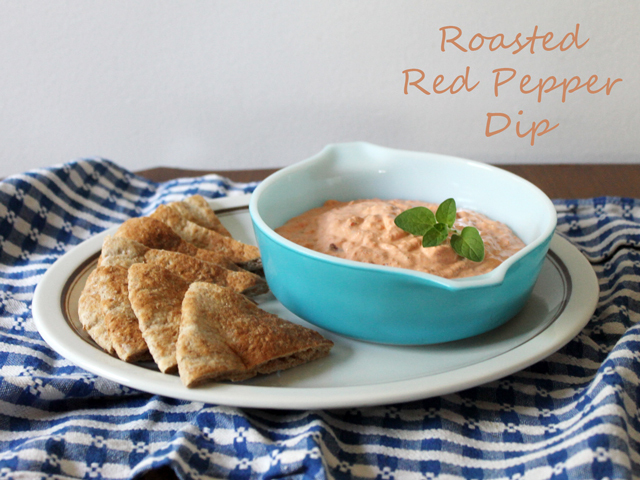 While I used roasted red peppers we had in the freezer to make this, you can easily use roasted peppers found in a jar at the grocery store instead. Also, dried oregano can be used in place of fresh. I've called it "Party Food" because that's when I usually serve this dip, but this time I had made it to bring on a picnic. But the picnic didn't end up happening, so we just ate it as a snack over the span of a few days and pretended we were partying while we did. [To roast red peppers on a barbecue, put them on the grill whole and close the cover. Cook them really well, turning them occasionally, until the skins got all black and blistered. Then transfer them to a glass dish with a cover and set them aside to cool. Once they're cool either peel them right away or stick the dish into the fridge overnight and do it the next day. Note: the olives and Feta cheese are salty, so no additional salt is needed. Spoon into a serving dish and refrigerate until ready to use. The flavours get better the longer it sits. Leftovers keep in the fridge for a few days. This recipe requires a food processor, but if you don't have one, here are a few party recipes that don't need any special tools. Thanks for visiting. Perhaps this recipe has come just in time to be whipped up for your summer party or picnic this weekend. I hope you have a good one! 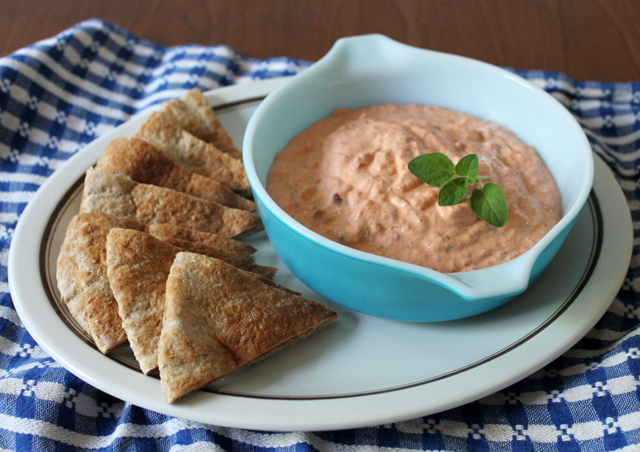 oh my gosh, that looks so good, and has some of the same ingredients in your other famous olive dip that I adore! I will have to try this.